Pharmaceutical companies from across the world are increasingly looking towards India as a source of intelligent, scientifically qualified and trained manpower and outsourcing their clinical research projects to contract research organizations in India. This means a greater number of job opportunities in the clinical research industry for trained pharmacists. As personalized medicine based on the principles of pharmacogenomics begins gaining a strong foothold, there is bound to be a greater demand for pharmacists in a clinical and hospital setting. Several big players in the pharmaceutical industry such as Novo-Nordisk, Merck, Glenmark, Sanofi, Zuventus, Albert David, Cipla and Sami Labs visit the college campus regularly to fill vacancies in their manufacturing, sales and research departments. 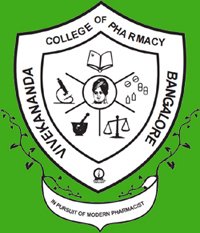 Several reputed retail pharmacy chains such as Apollo Pharmacy, Trust and MedPlus also regularly hire from our college.